Happy Wednesday! Ever go on vacation and immediately decide that you were moving there once you retired (or immediately!)? Hawaii is one of those places for me. I cannot tell you how amazing it is to visit and suddenly be engulfed by the scent of plumerias and orchids. It’s exquisite! It’s one thing to travel to Hawaii for romance or adventure (I’ve done both! 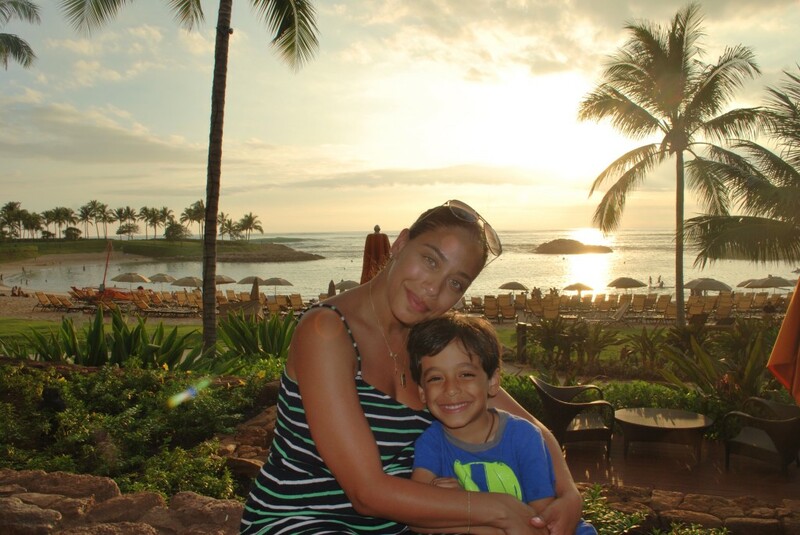 ), but traveling with a little one makes Hawaii that much more magical to experience. With all that we planned for our trip, these are the top 5 things that made Hawaii with a 5 year old a great experience! 1. Stay at Disney! 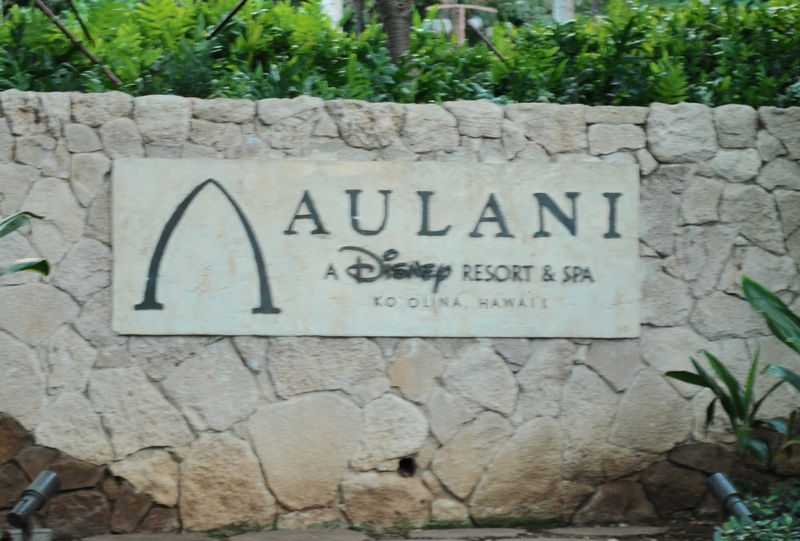 The Disney Aulani Resort & Spa, that is. (Click here) Not only is it a hotel, but a water park and a beachfront property. 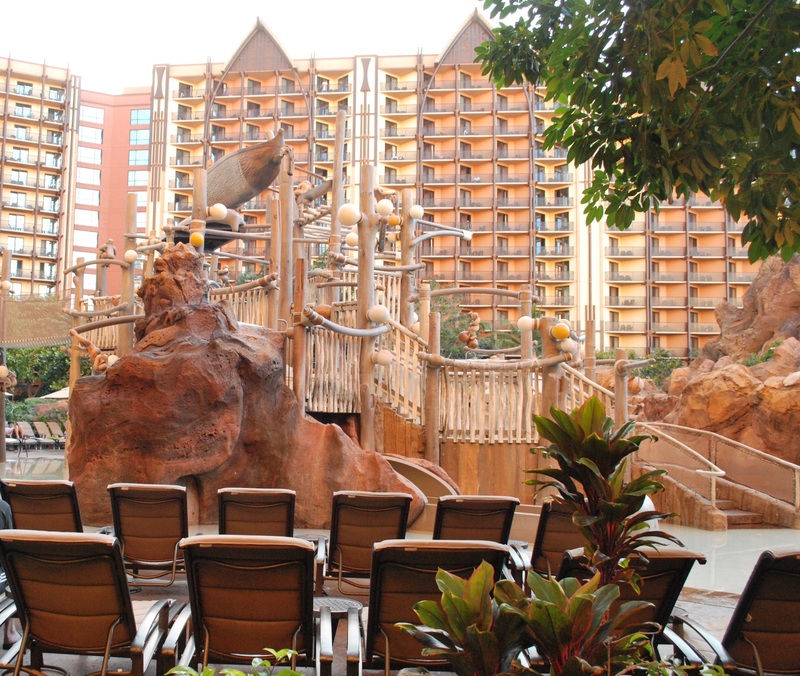 Located on the southwest side of the island of Oahu (fly into Honolulu and drive about 40 minutes out), this resort celebrates the Hawaiian culture throughout its property while giving your little ones enough Disney magic (Character breakfasts, sightings throughout the day of Mickey, Minnie, Goofy, Chip ‘n Dale, and Stitch, snorkeling with reef fish in a self-contained lagoon, and even an interactive iPad to use to activate parts of the resort’s landscape throughout the property) to enjoy. It offers an amazing spa for you and your partner to enjoy while your little one can spend time cared for at Aunty’s Beachhouse (at first we weren’t sure, but soon realized it was the BEST idea ever!). You could spend day after day at the resort and never feel like you need to visit any other part of the island. (But you should!) 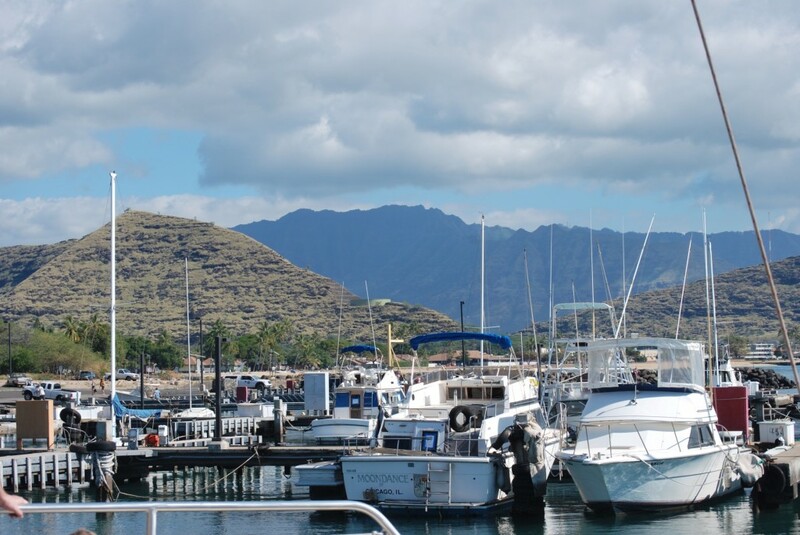 Now, Hawaii in general can be costly, so staying at the resort is not something to choose lightly if you are seeking to find the best way to save. 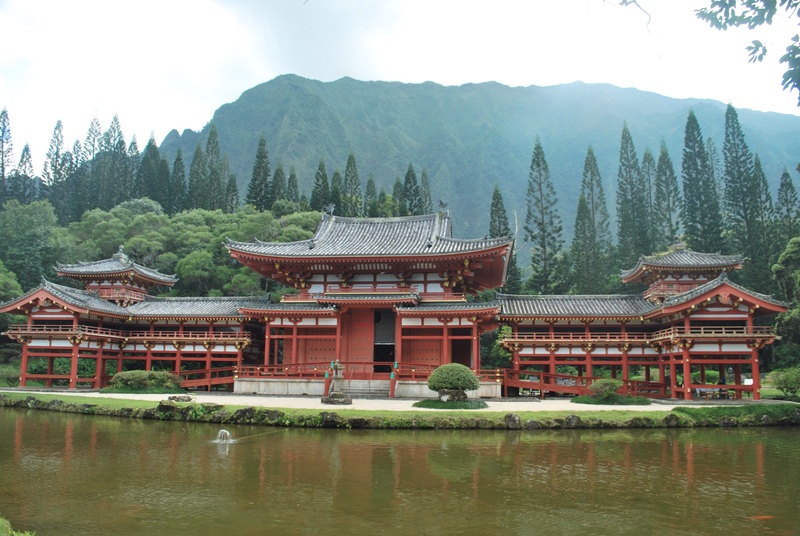 A better bet would be to stay for 3 or 4 nights and then head over to another part on the island of Oahu to finish the vacation. This would be a good way to save a little. 2. Rent a car. It may seem like I am stating the obvious, but many people who are guests of Aulani choose to simply make the resort area their only place to visit. If it’s your first time in Oahu, then getting a car is a must, even if only for a few days. My husband and I discovered an amazing app (and highly functional, I might add) called Oahu Full Island GPS Driving Tour (Click here). Not only is the commentator funny (what kid doesn’t want to laugh? ), but full of facts you may not get on a guided tour, where your time in one location wouldn’t be as flexible. It’s worth the $6.99. You can see the whole island (with quite a few stops along the way) in about 8 hours or choose to tour on two separate days. With the app, you are in full control of when and how long you stay in one location. 3. 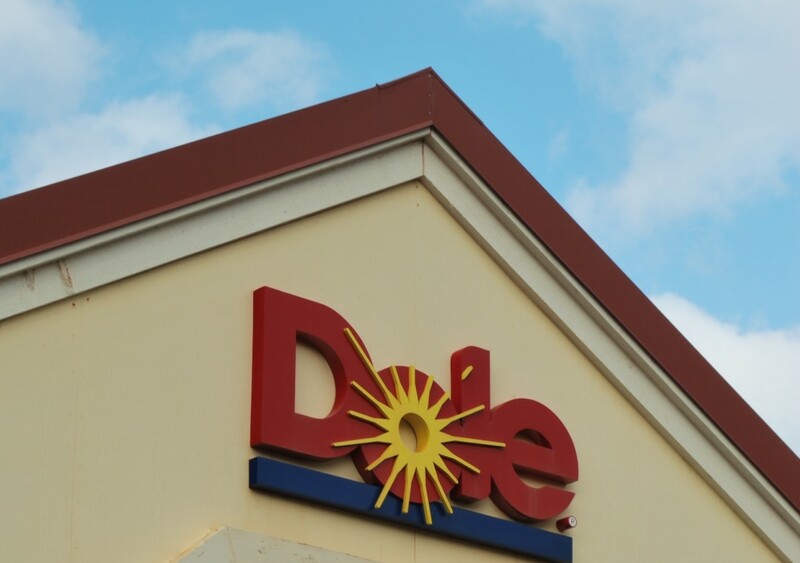 Visit the Dole Plantation and Maze. If or no other reason than for the Pineapple Whip (creamy pineapple ice cream that’s so good each person needs to get their own!). 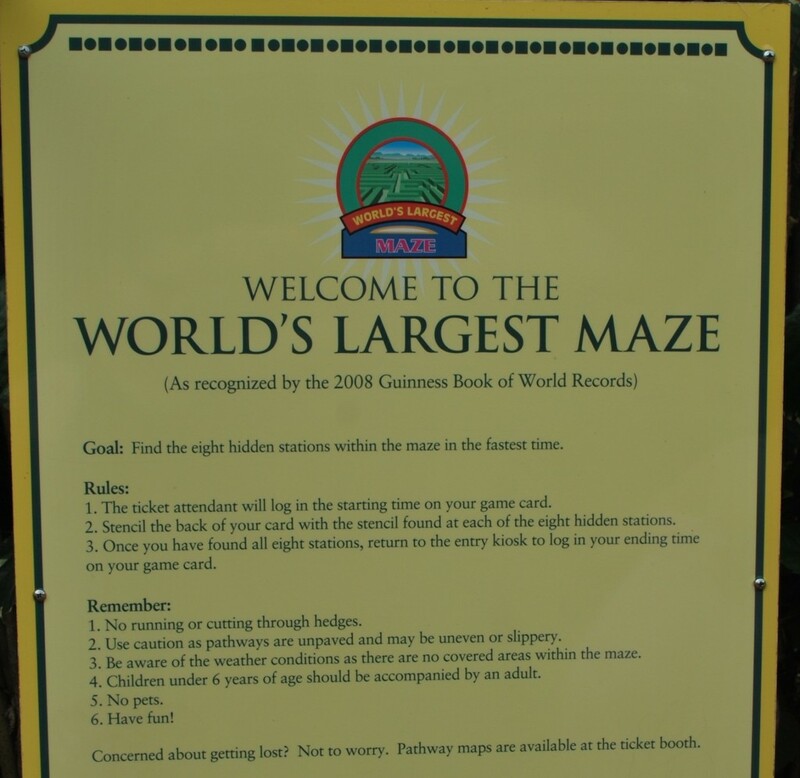 The World’s Largest Maze is also a fun “should do” that your little ones who are walkers or older will enjoy. 4. If it’s whale, sea turtle, and dolphin watching (and even when it’s not) season, get yourself to a catamaran! 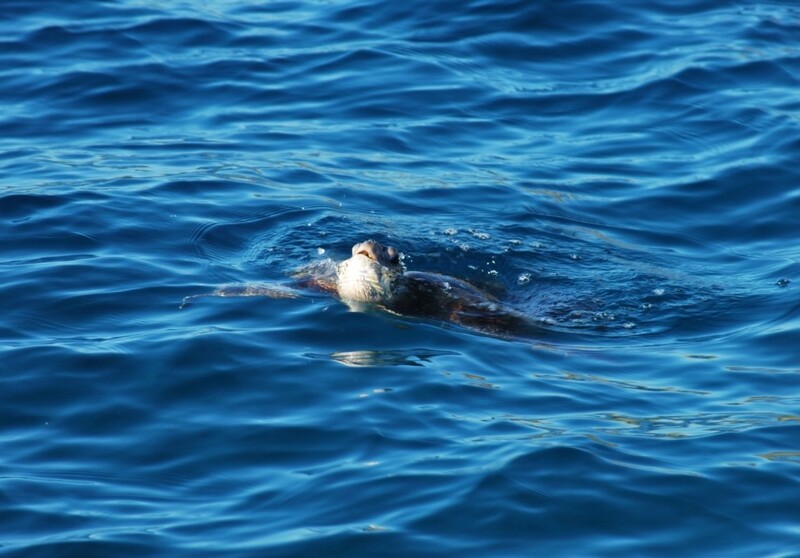 Not only did we see whales and sea turtles (imagine the look on a kid’s face! ), I got my 5 year old to jump into the open ocean, which is a memory we will cherish for a lifetime. The Aulani Resort and Spa easliy booked this excursion for us and it was one of the best I’ve ever had. Don’t think you can do it with a baby? There were a few families on board with their 4 month old babies just to enjoy the view. 5. Visit as many beaches as possible! The surfing itself is spectacular to watch on the North Shore! During our app guided tour (see #2), we also learned about some of the lesser known beaches that we would have missed had we not used the app. 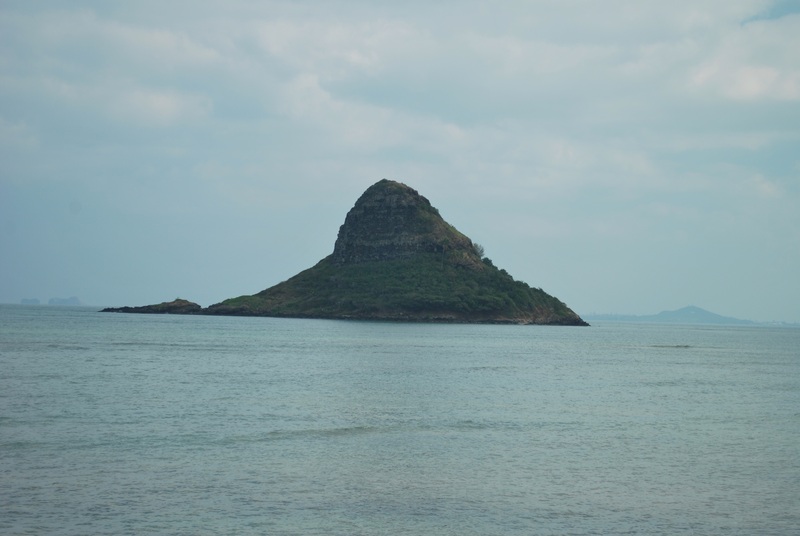 Some of our favorites were Lanikai Beach, the lagoons at Ko’ Olina (where the Disney Resort is located), Pipeline & Waimea (for the surfing) and Kailua. 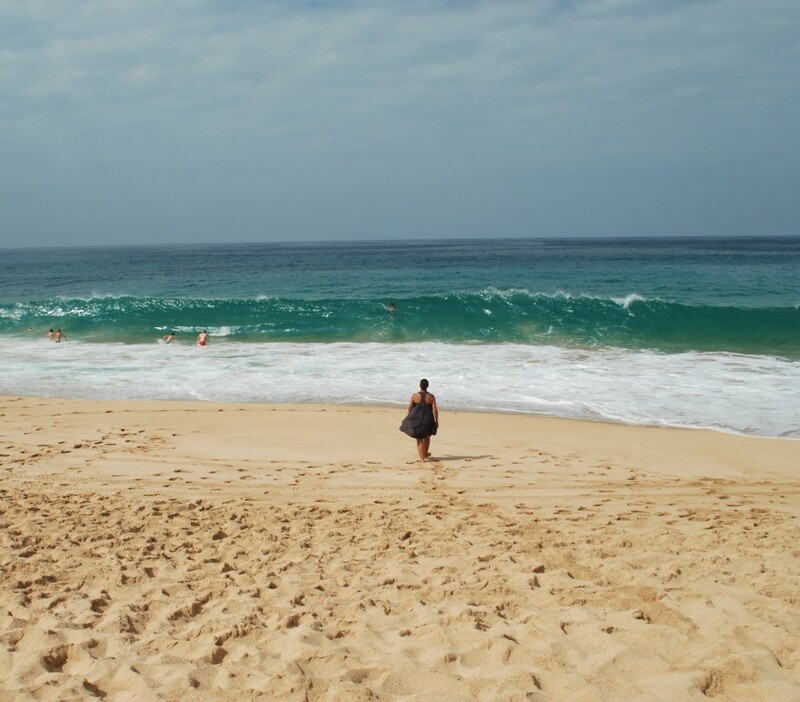 But let’s face it, almost EVERY beach in Hawaii is amazing. 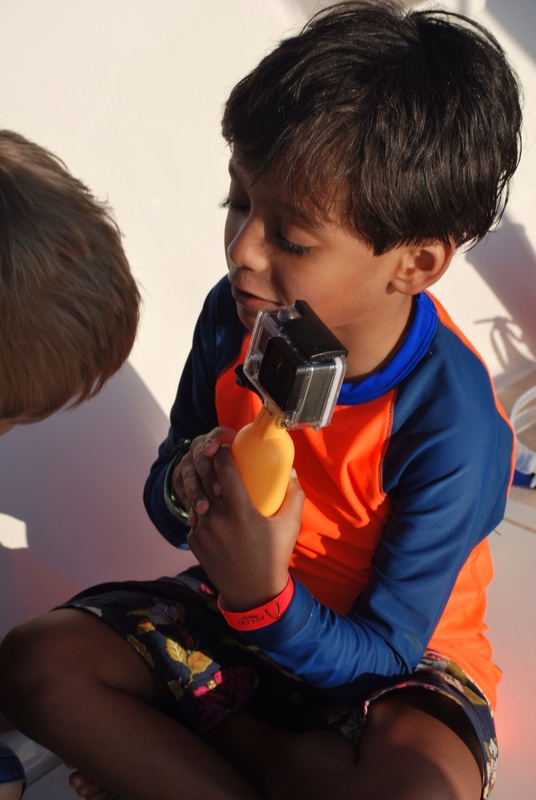 BONUS TIP: Bring a GoPro or some form of waterproof/underwater POV camera! Everyone has one, but that’s not why you should get one. The water experiences alone will allow you to have pictures and video that somehow make everything you do in Hawaii that much more beautiful and personal. It that even possible? So there you have it! I could add so much more about our adventures together (Diamond Head, Honolulu, great restaurants for kids, and those to miss) and maybe there’ll be a Part Two. But for now, I’ll stop before I find myself packing my bags for that move! Thank you for reading! Would you add anything else to this list? I know there is so much to do in Hawaii. Shaved ice, anyone? I’m always happy to learn more. All opinions are my own and this trip was not sponsored by any of the above mentioned companies. Love the pics, especially the last one. These are such special moments and memories from your trip. Thanks for sharing.